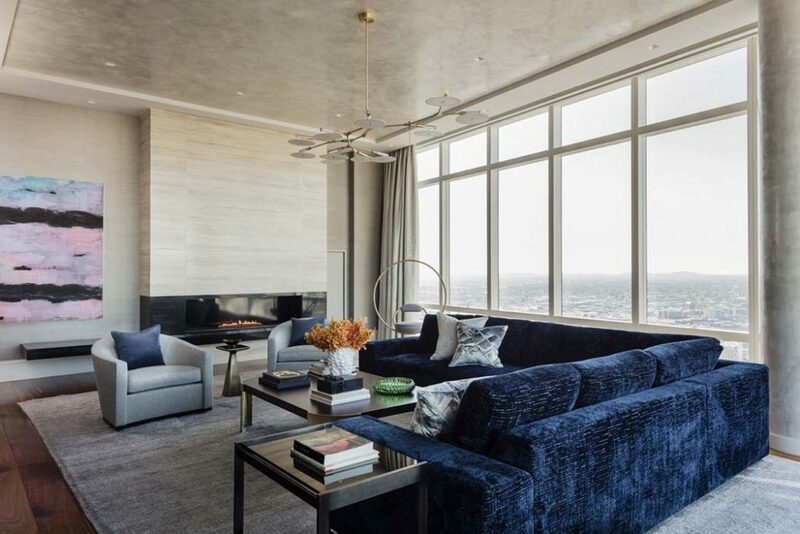 We’re still pinching ourselves about this one: our Millennium Tower project was featured in the inaugural issue of Modern Luxury Interiors Boston! Our clients purchased this penthouse in the new 675-foot luxury building downtown with the intention of keeping Boston as their home away from home. The massive pied-a-terre was transformed by Elms Interior Design from cookie-cutter to creatively styled. The result is a striking yet comfortable living space set against skyline-views forever.